Why can’t my 9-year-old son ask for something simple this Christmas, like a Ferrari or a jet boat? There are dads like me all over suburbia, I guess. I’m the kind who wants to get his kid the best Christmas gift ever. So when my son came to me and asked for a miracle, I told him no problem. My wife was watching Oprah when my son and I walked into the room. The guy talking to Oprah on the show said he’d died, seen Heaven, and come back to life to tell the story. It was utter ridiculousness. My son ate it up. 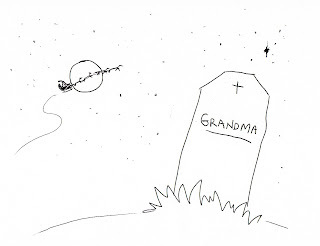 And he wanted leftovers -- he wanted his grandma to come back to life, too. “I’ll write Santa,” my son cut in. “He always comes through.” And lucky for me that he does. The kid got out a piece of canvas card stock (some really nice stuff for a letter) and laid down some of his nicest prose. His penmanship was remarkable, something his schoolwork missed. All the while my wife and I were trying to convince him to ask for something Santa could actually deliver. “But not even Santa can bring a person back to life,” I said. I was sorry to disappoint the kid, but it had to happen sooner or later. As my son shared his Christmas wish with the whole world, his smile began to turn . . . into an even bigger smile. No one supported him, but he still believed in the power of his wish. But then some of his friends tried to tell him that Santa doesn’t exist. That’s what did it. The kid slumped into a chair. Now, we’d made some killer leprechaun traps and even better Easter Bunny traps over the years, though we never caught our marks. But catch St. Nick? He’s a saint. How do you catch a saint? Using ribbon and garland, a light-up camel from our outdoor manger scene, placebo Christmas gifts, candy cane candles, cookies and milk as bait, and a stuffed snowman to break Santa’s fall (it’s too complicated to fully explain), we tested the Santa Trap 2900 (patent pending) . . . on Mommy. It didn’t work. Mommy just got annoyed. For a dad who likes to get his kid the best Christmas gift of all time, I was succeeding in making it his most disappointing Christmas to date. The trap failure was a real blow to the kid’s confidence. “Exactly,” I said. 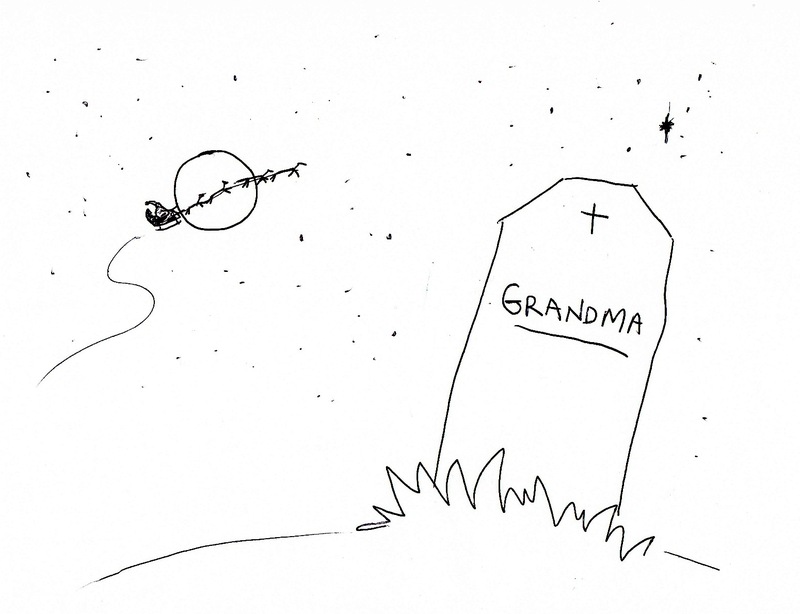 “Next year we’ll bring Grandma back to life.” I’d worry about “the how” later. And with that, he wrote another letter to Santa, this time asking for a Ferrari and a jet boat instead.